It may even come in a 256GB flavor. One of the most intriguing rumors about the upcoming iPhone 7 is that it'll ditch the 3.5mm headphone jack, meaning users will have to get audio output via Lightning or Bluetooth. But according to a leakster, this may no longer be the case. Rock Fix, a smartphone repair shop based in China's Ganzhou, has recently been posting photos of alleged iPhone 7 components. One of these is apparently the 4.7-inch model's Lightning cable assembly which, contrary to what we've been hearing before, still has a headphone jack attached to it. 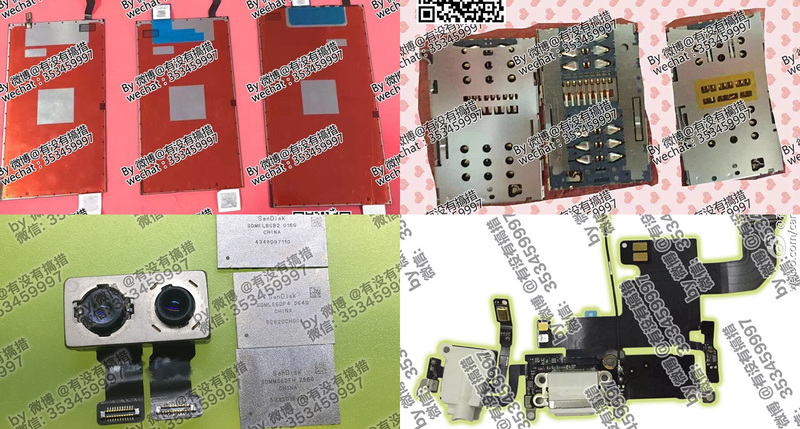 And more recently, the shop shared photos of what it claims to be the next iPhone's dual-SIM trays, which will be a first for Apple if true. Other parts shown off by Rock Fix include some screen panels in the usual two sizes, some SanDisk memory chips of up to a whopping 256GB, plus a dual-lens camera for the larger model (hello, Huawei!). The shop owner also told us that there will be some changes to the antenna design, though he clarified that this won't get rid of those antenna bands on the back of the phone; maybe it's more to do with the rumored switch to Intel's modem for the GSM models. Despite such recent leaks, there's still some uncertainty regarding the iPhone 7's features. For one, just three days ago, an industry insider claimed he heard from a Foxconn source saying Apple had canned the dual-lens camera because the technology wasn't ready, but the following day another insider shot this rumor down, as he had heard from multiple suppliers saying the tooling was already made and that it'd be too late to change it (a self-proclaimed Foxconn employee commented below this Weibo post to say mass production started last month). He added that Samsung, Oppo, Vivo and Xiaomi are also exploring dual-lens cameras for their upcoming smartphones, so it'll be interesting to see what the mobile industry will offer in the coming months.